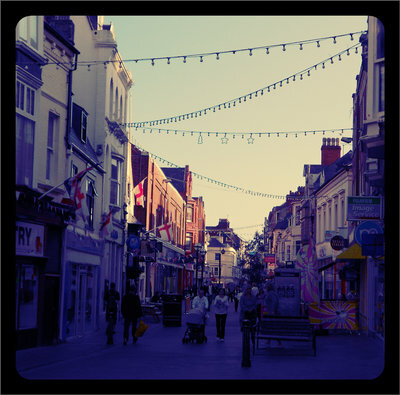 I’ve just returned from a mini holiday in Weymouth on the South coast and feel the need to sing its praises and share some photos. 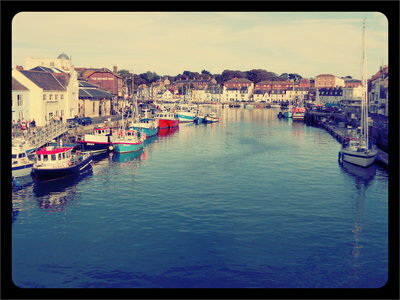 Weymouth is a really cute, typically English seaside town. I’m sure in peak season it becomes very touristy, but for us it was really quiet and lovely, and the weather was amazing for September! 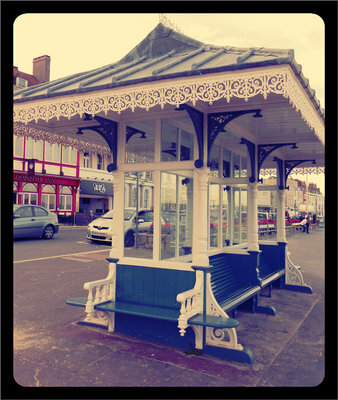 It has a lovely sandy beach with crystal clear waters and cute white beach huts, a nice long promenade with tea shops selling Dorset cream teas, a great town centre with loads of the major high street shops as well as cute and quirky independents and gift shops, and a harbour surrounded by pretty pastel-coloured cottages, fish and chip shops and the town’s best selection of bars and restaurants for relaxed evenings by the water. 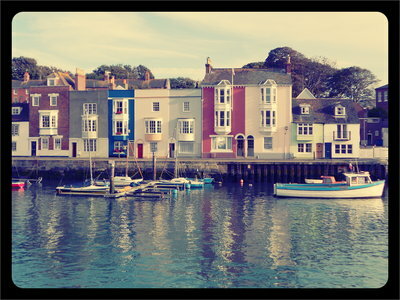 We ate fish and chips on the edge of the harbour, wandered around the cute shops and winding streets in the town, spent a full day getting a bit sunburnt on the beach and enjoyed delicious cream teas in the afternoons! We stayed at The Ashmira Guesthouse which was modern, tasteful and cozy, as well as reasonably priced and well-located. We also visited Monkey World, the Ape Rescue Centre from TV’s Monkey Life, which is definately worth a visit (and any support that anyone can give, as their efforts are really worthwhile).